Remember those collages you made in kindergarten with macaroni and cool construction-paper cutouts? Well, this isn’t that. 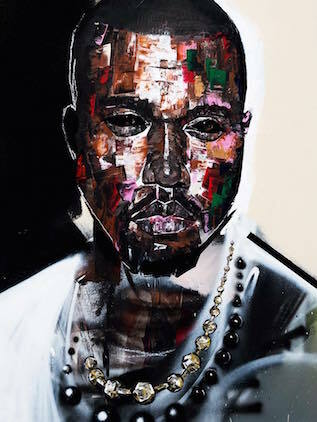 Joseph Lee (@joeyunlee on Instagram) reimagines patchwork illustration with his portraits of cultural icons like Kanye West and Tupac’s Bishop, painted with unbounded, yet strategic broad brush strokes. Each stroke, elevated with highlights of vibrant color, adds a different layer of personality to both the medium and the person captured, creating a multifaceted picture in more ways than one.